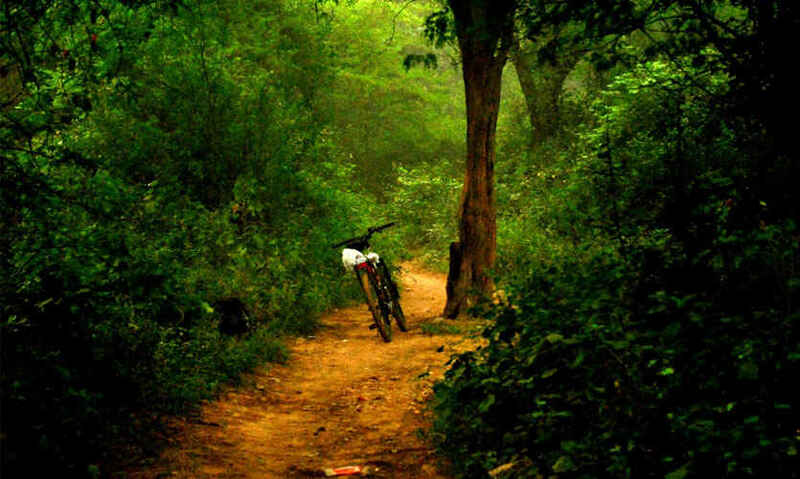 Sanjay Van, a sprawling forest of about 10 sq. kms in South Delhi adjoining JNU is one of the most thickly wooded areas of the city’s green lungs & purported to be a haunted place in the metropolis, maybe due to its adjacency to Mehrauli & the fact that it houses innumerable mausoleums of Sufi saints & graves punctuated with broken ramparts of Qila Rai Pithora. The canopy presents a visual feast away from the din of the traffic. 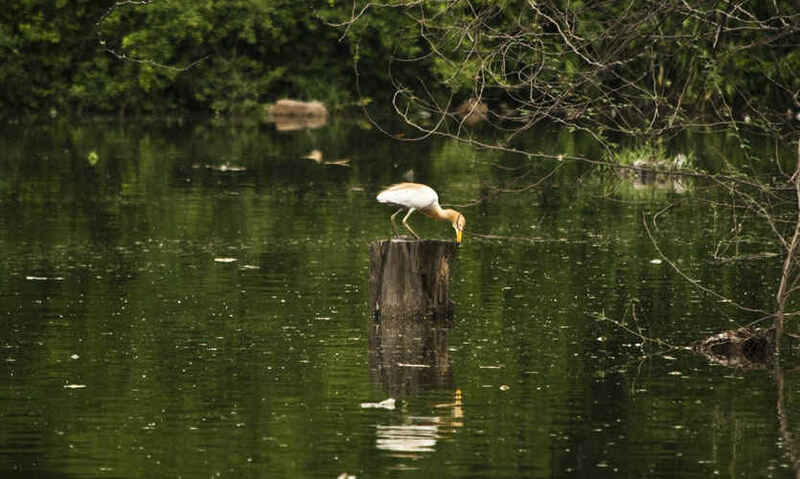 Heritage apart, the area is one of the few recluses for bird watchers & nature enthusiasts in the city. 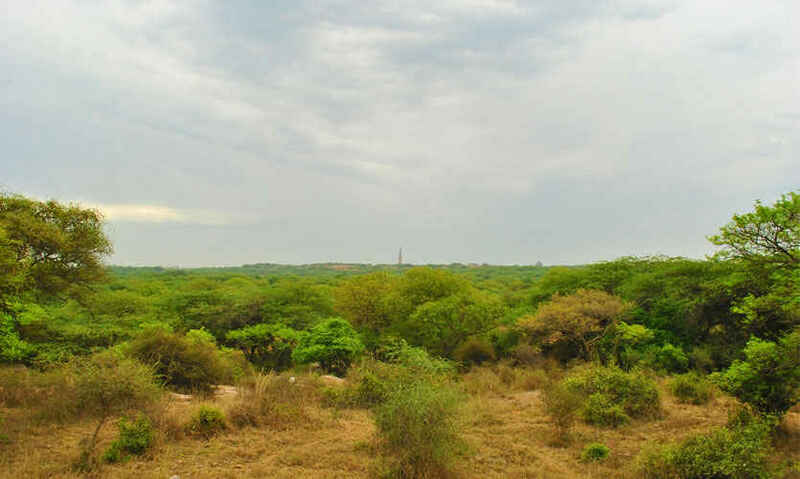 Featuring a typical Aravalli landscape with thorny vegetation, one can hear the babblers creating their trademark sonic ruckus as soon as one enters from one of the many entries, followed by peahens gossiping in the corner as the peacock flaunts itself trotting nonchalantly along the trail. Summers are excruciatingly hot & only a die-hard nature buff can veer into the seething canopy, but winters are a pleasant delight. One can simply sit under a modest Keekar tree & soak themselves in the chirping melodies, or rest on a hillock overlooking the Qutub Minar, getting lazy in the winter sun. You can trawl the dimensions of this hideaway for hours with a bike which would allow a good ride but mostly a short one before the thorns maul the tyre tube to shreds. It is recommended that one spends some time along the entry trails, for it is in the canopy between the major trails that most of the avian life resides, the canopy providing shade & also owing to the fact that many morning walkers leave food & water for the creatures along the way. Purple Sunbird, Eurasian Golden Oriole, Asian Koel, Brahminy Starling, White Breasted Kingfisher & Rufous Treepie are common spottings along the trail. Some more wading in & patience might lend you the Indian Silverbill, Grey Breasted Prinia, Oriental Honey Buzzard & Pied Crested Cuckoo. Keep moving East towards Mehrauli & the open shrub lands imply there is not much to spot on this side, apart from the uncountable ruins & graves that can be spotted. You can loop around West towards the Vasant Kunj exit. There is a water reservoir trying to battle out its fate as a sewer but the Red Wattled Lapwing, Cattle Egret, Common Moorhen & White Breasted Waterhen can be easily spotted. One can also spot Blue Bulls, Sambhars & hares, provided there is little human traffic. There are multiple entry & exit points, but the ones at the Qutub Institutional Area & Neela Hauz Bridge near Vasant Kunj are the least confusing. Be dressed in full-length trousers & shoes to avoid the thorny shrubbery and tank yourselves up with a lot of fluids & snacks, as there is no place for such things in the quiet of the woods.